Remember the Wwise Adventure Game? Well, we just launched Wwise-301: Wwise Unity Integration, a new certification which, using the Wwise Adventure Game sample project, will guide you towards mastering the Wwise Unity Integration. Discover creative possibilities with the Wwise Unity Integration, create and modify scripts to fit your needs, construct zones with environment effects, and learn to facilitate a dynamic music system that makes objects in the game move to its rhythm! While the Wwise-101, Wwise-201, and Wwise-251 certifications focus on making you a Wwise expert, the Wwise-301 certification builds on what you’ve learned in Wwise, and helps you master sound integration in Unity. 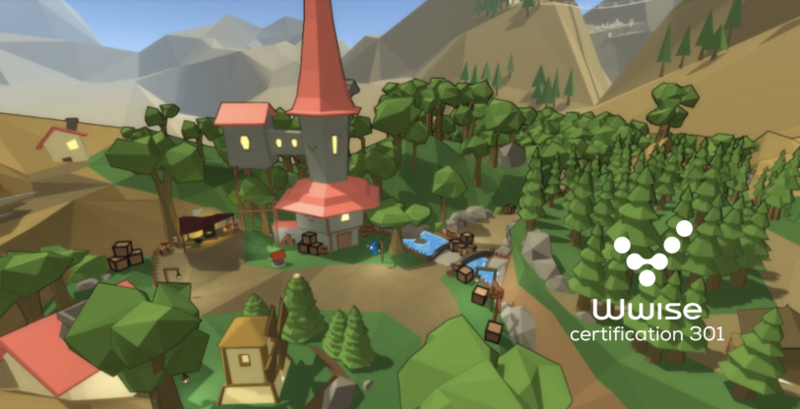 This is a more advanced certification, however its learning material assumes that you have never used Unity before, and truly covers all you need to know about the Wwise Unity Integration. We wanted to make sure that you have a lot of fun learning, and with the Wwise Adventure Game, we ensured that you get a head start. With a complete Wwise Unity Integration project, you will get to rebuild the game step-by-step, and before you know it, you’ll be able to build your very own project from scratch! This hands on approach goes beyond getting you familiar with integrating audio in Unity. It gets you as close as possible to a real-life game production scenario, from the get-go. Every method or technique you learn in the Wwise Adventure Game, can be applied in other Unity productions. So, we encourage you to use the Wwise Adventure Game as your playground for experimentation or as your source for inspiration. Remember this is an open-source project, so every tiny piece of the game is at your disposal! Lesson 1: Adding Sound to a Game: Take a supersonic deep-dive into integrating audio in Unity and learn one of the quickest ways to load a SoundBank and post an Event from it. Lesson 2: Ambiences: Extend how you post Events with specialized positioned modes and use the Attenuation spheres feature to display the distance of your attenuations directly in Unity. Furthermore, use the EventPositionConfiner script to simulate a volumetric sound source inside a Trigger. Lesson 3: SoundBanks: After learning how to load SoundBanks in the first Lesson, learn how to dynamically load SoundBanks as you traverse the Allegro Kingdom (the world of the Wwise Adventure Game). Once you get the hang of loading SoundBanks by triggers, learn how to load SoundBanks from Scenes. This lesson allows you to easily define what content should be loaded at any given moment. Lesson 4: Posting Events from Scripts: Learn to create your own scripts in a matter of seconds. This is an essential part of developing with Unity. Learn to attach a sound to in-game mechanisms and finish off by connecting the Adventurer's attacks to the input of your computer’s microphone! Lesson 5: Controlling Game Syncs from Scripts: Learn to manage your soundscape at runtime by integrating Game Syncs. You start off by using the Wwise Unity Integration components and then write custom scripts to set the footstep sounds based on the surface material or modify the ambiences based on the time of day. Lesson 6: Environment Effects: Create zones in which sounds will be reverberated in an abundant soundscape comprised of many active voices and locations, and define different acoustic regions with the use of AkEnvironment components. Lesson 7: Callbacks: While most of your audio integration will rely on sending calls from Unity to Wwise, learn to return information from Wwise to Unity and make the world of Allegro Kingdom dance to the rhythm of the music. Lesson 8: Advanced Music System: Integrate the advanced music system from the Wwise Adventure Game demonstrating two music structures playing simultaneously. Then, create detailed variations in the music composition depending on your location in the game. Lesson 9: Making your own Adventure Game: Learn how to integrate the Wwise Unity Integration into any Unity project from scratch. Create a new Unity project, integrate the Wwise Unity integration and fine-tune it to your needs! 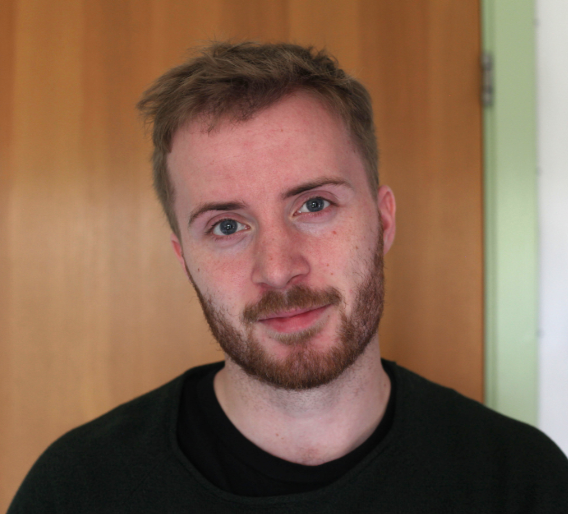 Certification Writer and Wwise Adventure Game Developer Mads Maretty Sønderup, was one of the two developers of the Wwise Adventure Game and the author of the Wwise-251 and Wwise-301 certifications. He is a MSC (Eng.) in Sound and Music Computing with the focus on exploration in game music as a provider of information, and has a BA in Medialogy. Besides working with Audiokinetic, he's a teacher in a rhythmic music course and a Audio Engineer on various game, broadcasting/television and radio productions. 不错。虽然只是一个集成的初级入门，但是对于游戏音频工作者来说，这个就是葵花宝典，天下第一的武功秘籍。谢谢楼主的无私。楼主you are the hero!!!! !thank you !!! Real-Time Synthesis for Sound Creation in Peggle Blast!